This above left pitcher sold in 2009 for $200. Not much is known about the pattern. 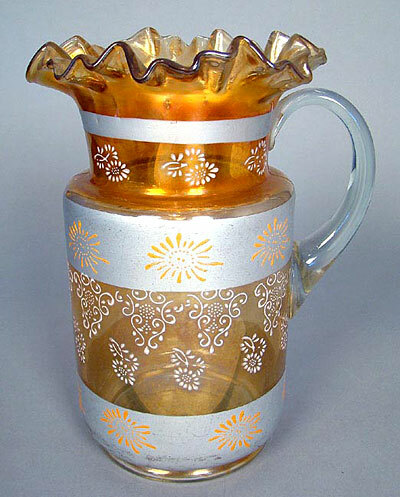 While it is a marigold cannon-ball shaped pitcher, with silver decoration. 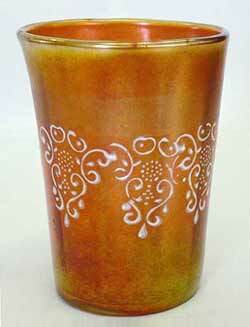 The above tumbler sold in 2011 for $45. The maker is not known but some believe it to be Fenton but that has not been confirmed. 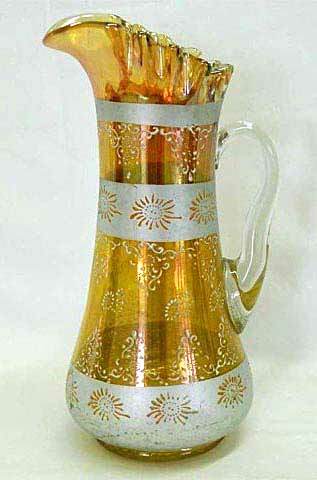 Above right is an entirely different Silver Queen water pitcher, this time in a tankard shape. It sold in 2013 for $475.